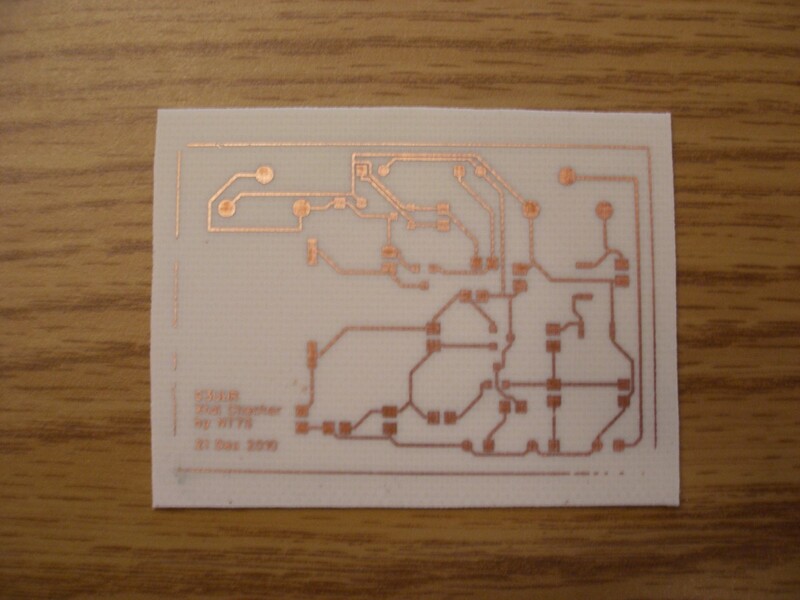 I decided to make my initial Project X prototype PCBs at home using the old tried-and-true method of toner transfer (via Pulsar Professional paper and foil). 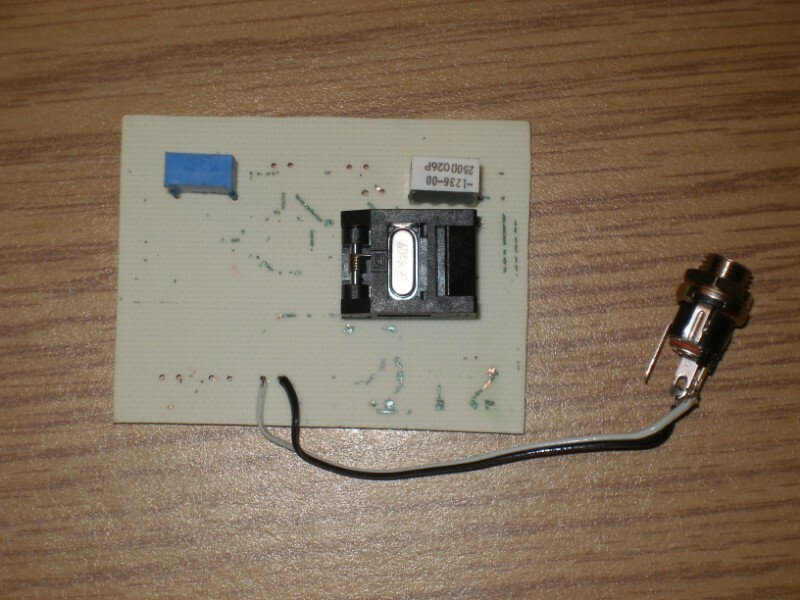 Since I’m a novice at PCB layout, I didn’t feel comfortable paying the money for a few proto PCBs from a board house, then finding out that I did something wrong and flushing that money down the drain. Instead of buying Pulsar’s starter kit, I just purchased a pack of the transfer paper and a roll of the green foil. I also got the required GBC laminator from Amazon instead of paying significantly more for it from Pulsar. Give yourself at least 0.5 inches of copper clad clearance on each margin of the final board edge in order to give the laminator good purchase on the board and transfer paper. Putting the toner traces too close to the edge will result in those edges failing to adhere to the board. There’s just not enough heat and pressure to do the job properly at the edge. When passing the copper clad plus transfer paper through the GBC laminator, I found that it worked better with four passes. Pass the board once, turn it 90°, pass it again, etc., until all four edges have been the leading edge through the laminator. I didn’t see this mentioned in the instructions, but after you apply the foil on top of the toner traces, you must let everything cool down to room temperature before attempting to peel the foil off the board. Failing to do so will rip most of your toner off of the board! Once I got the bugs worked out, I was quite happy with the end result. I also decided to try out a new etching method. Instead of using ferric chloride, I used the hydrogen peroxide/hydrochloric acid recipe that I’ve seen touted on the Internet. Let me just say that it worked out beautifully and is waaaaay cheaper than buying ferric chloride. It only took about 3 minutes to etch my small board in a Ziploc baggie. No need to mess with expensive equipment or chemicals! The etched board turned out very well. There are a few places with very close traces, as you can see in the photo above. These etched out perfectly, no problems at all. 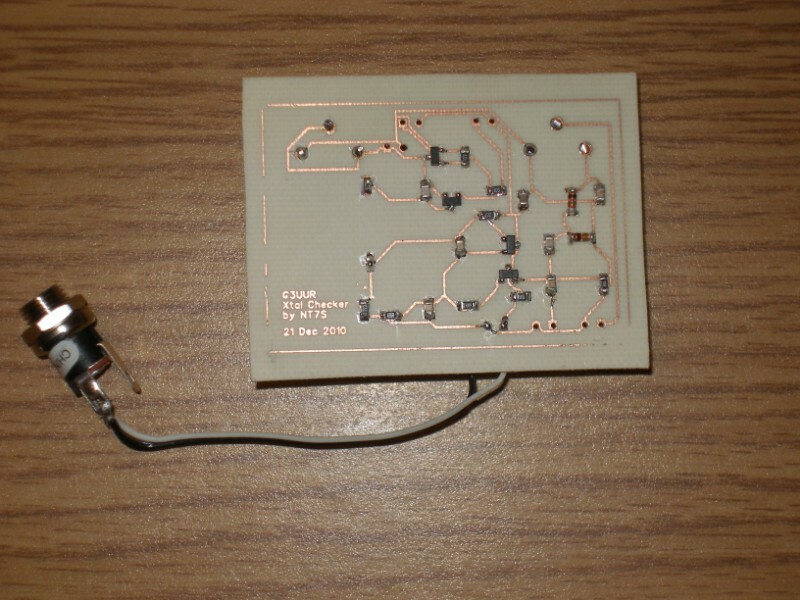 You might notice some bad copper on the bounding rectangle on my board, but that was because of the close clearance between that trace and the board edges. I know how to avoid that in the future. Tonight, I got the board all soldered together and it worked perfectly on first power-up! That’s always an extremely satisfying feeling. Now that I’ve got a handle on the process, I feel comfortable using it on the Project X prototype. Stay tuned for more progress on the new radio!